If your bathroom is old, stale and long overdue for a makeover, there are a number of stylish ways to upgrade your bathroom in order to give it a more modern look and feel. By making just a few changes, you can transform your old bathroom and make it look more modern and polished. In many cases, you can greatly enhance your bathroom just by adding new bath rugs and new faucets. While each bathroom presents its own challenges, there are many different routes you can take to enhance your bathroom’s decor. Since the sink is the part of the bathroom that most people notice first, one great way to improve your bathroom is by adding sleek stainless steel faucets. If your sink is in decent condition, adding a brand new faucet can make this part of your bathroom more appealing. Add some flair to your bathroom with bath contour rugs that match the color scheme of the room. You can even change the color of the room with a one-coat paint job. Consider buying shower curtains that nicely complement your new bath rugs to tie the room together. A new bathroom mirror or a more modern looking shower head is another option. 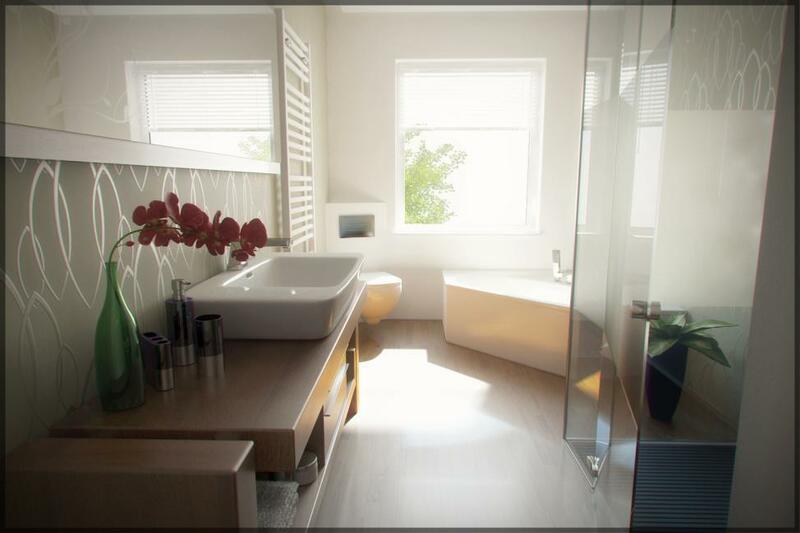 When it comes to modernizing your bathroom, you have countless options with the modern style being currently en vogue. Whether it is with a new sink, rugs, shower curtains or a new color scheme, you can transform your bathroom into a stylish and modern washroom.